Piled in boxes, they made for interesting patterns. 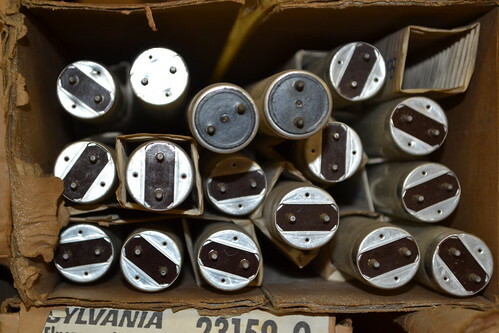 Some boxes were old, and showed a history of electrical lighting. The boxes were dusty which leads me to believe there is no practical use for this stuff. 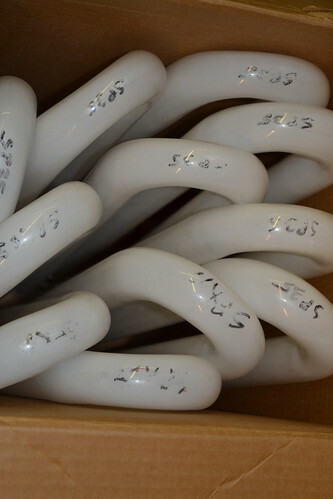 But, as long as the space in the warehouse isn't needed for anything, they just keep the bulbs around rather than pay to dispose of them. A stack of trouble lamps was interesting. 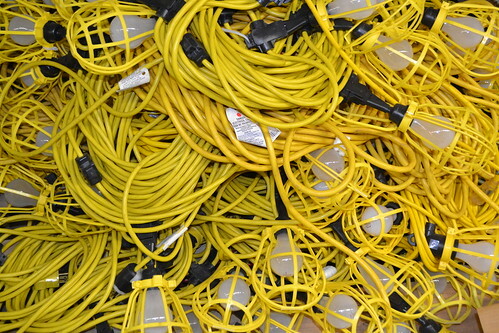 There must have been, easily, a couple hundred spilling from this broken box onto the floor, like yellow snakes. I wish I had time to chat with owners of businesses who have been around for this length of time. I'm always interested in their history and how they have seen their business change over the years. 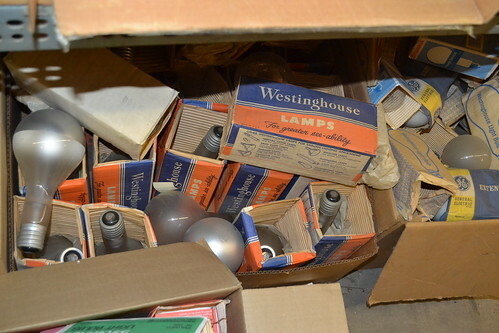 They had boxes and boxes of compact fluorescent and LED lights, but, as I showed above, older lights dating from the 1940's and 50's were at the far back. This company had "lit" some rather high profile jobs over the course of their existence. 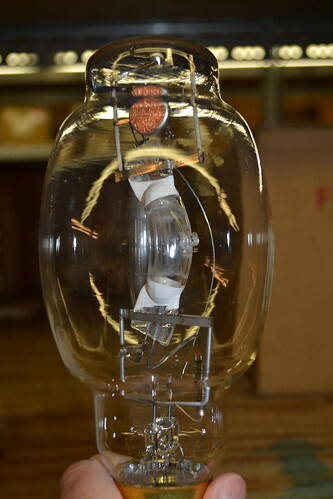 As I was looking at the stacks, I came across this bulb. I think this is so cool. It's a recent reproduction of a design from the 1920's. It's made to be energy efficient but retro. I'm going to start looking more closely at the lighting in the buildings I inspect. 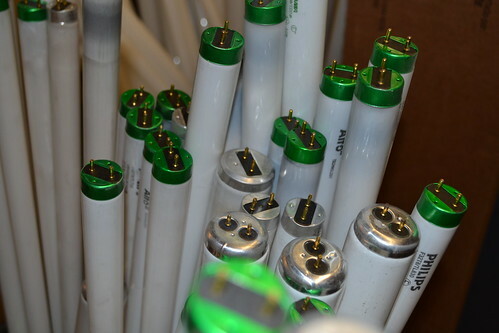 Who knew there was a 'cool factor' to light bulbs. Thanks for the post. I like your writing style – I’m trying to start a blog myself about LED Grow Lights, I think I might read thru all your posts for some suggestions! Thanks once more.